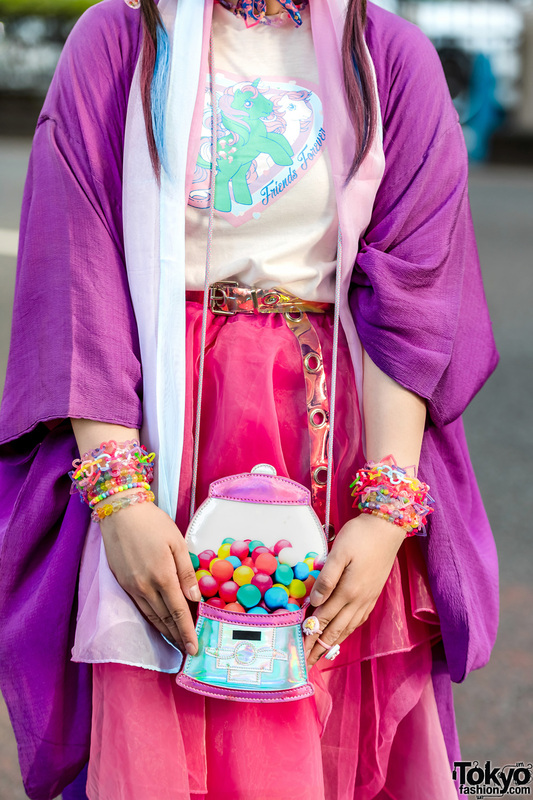 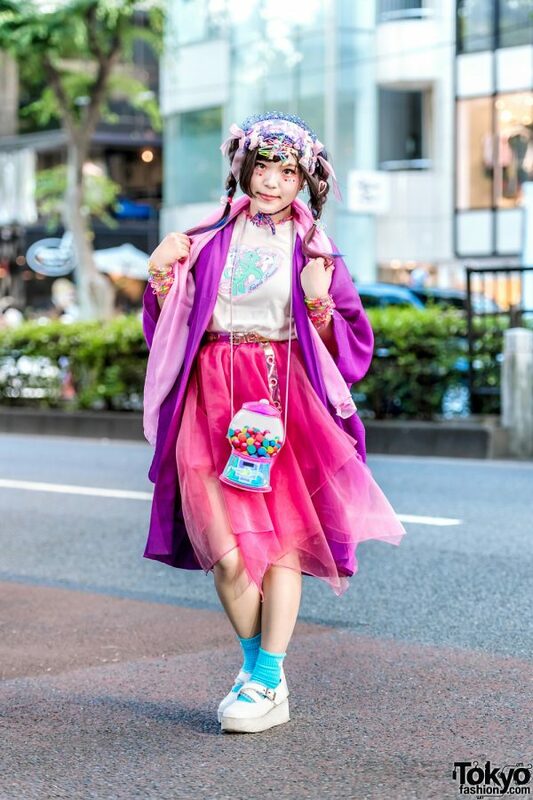 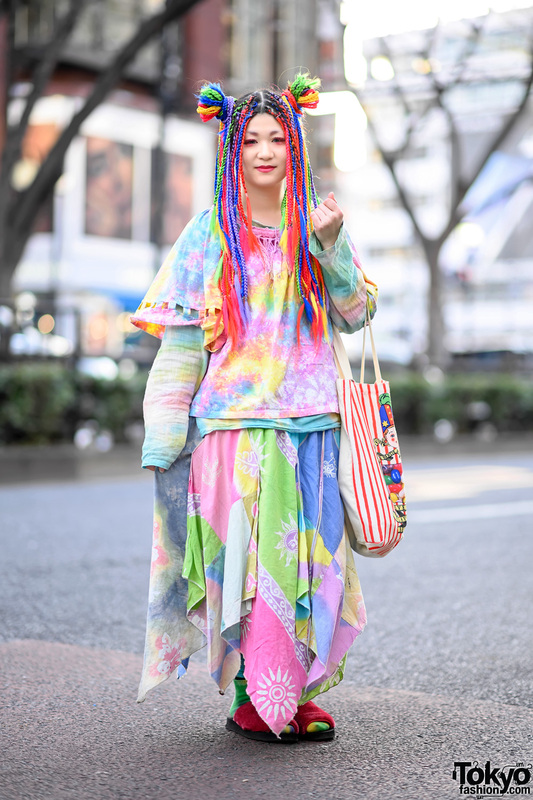 Meet Yuzuremon, an 18-year-old student whose decora look and colorful street style easily caught our eye while out on the Harajuku streets. 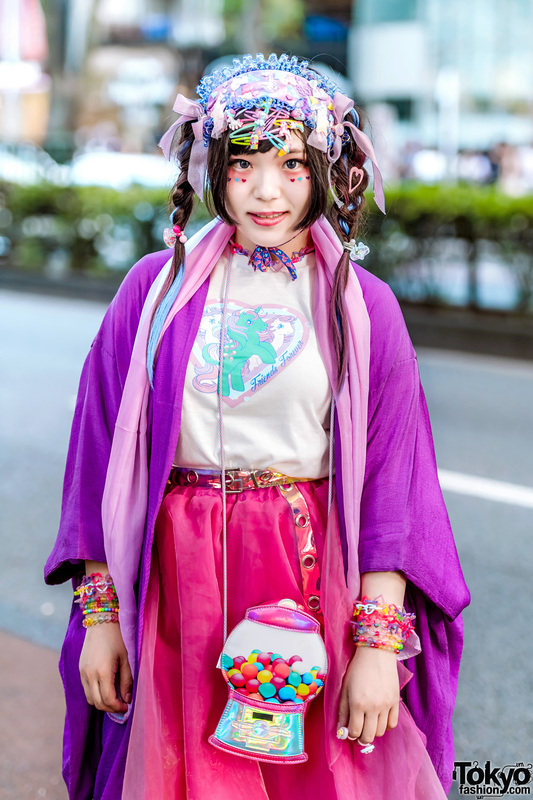 Yuzuremon is clad in a purple kimono from Kimono Kabukis, worn over a pink My Little Pony t-shirt from Thank You Mart, which she tucked into a pink organza skirt with asymmetrical hemline from ACDC. 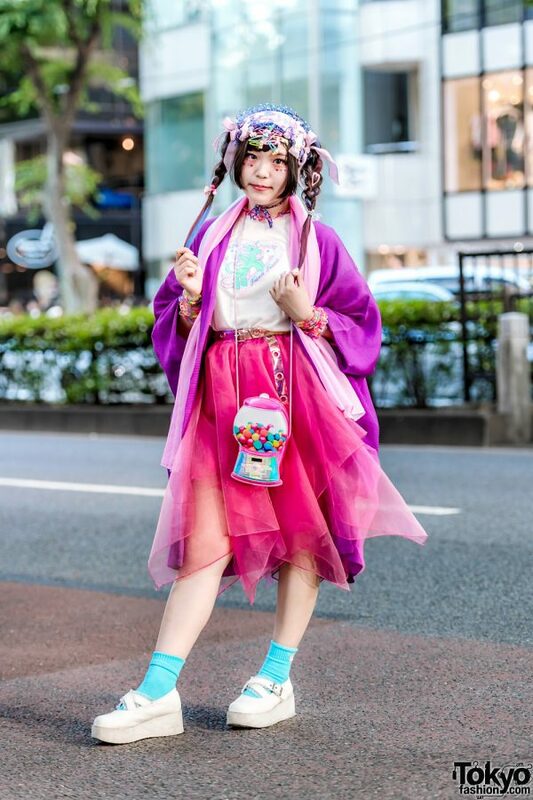 Blue ribbed socks, white platform cross-strap shoes with lace detailing from Swimmer, and a metallic gumball machine sling bag from Claire’s completed her outfit. 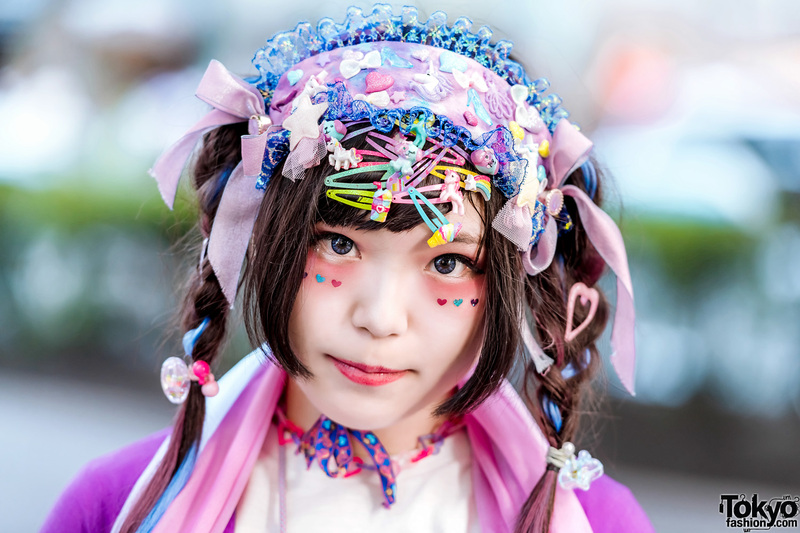 Her decora accessories – some handmade, some from Claire’s – consists of a blue lace headdress with purple bows and decora hair pin embellishments – secured and tied under her chin, colorful decora hairclips, hair ties for her twin braids, a pink scarf, a heart chain necklace, a metallic o-ring belt, multiple decora bracelets, and cute rings. Purple contact lenses, glitter lips, and heart glitter eye jewels rounded out her decora street style. 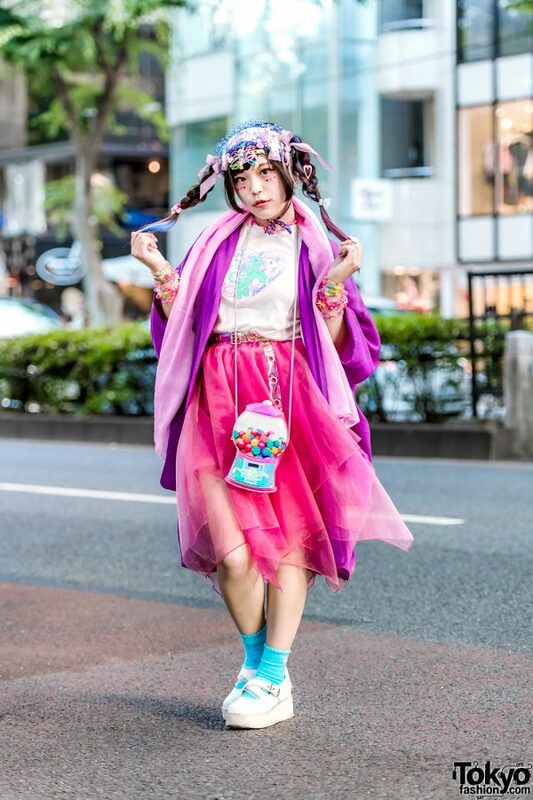 For more of Yuzuremon’s kawaii fashion style, follow her on Instagram.